One of the snack in the Philippines that I longing to eat in. 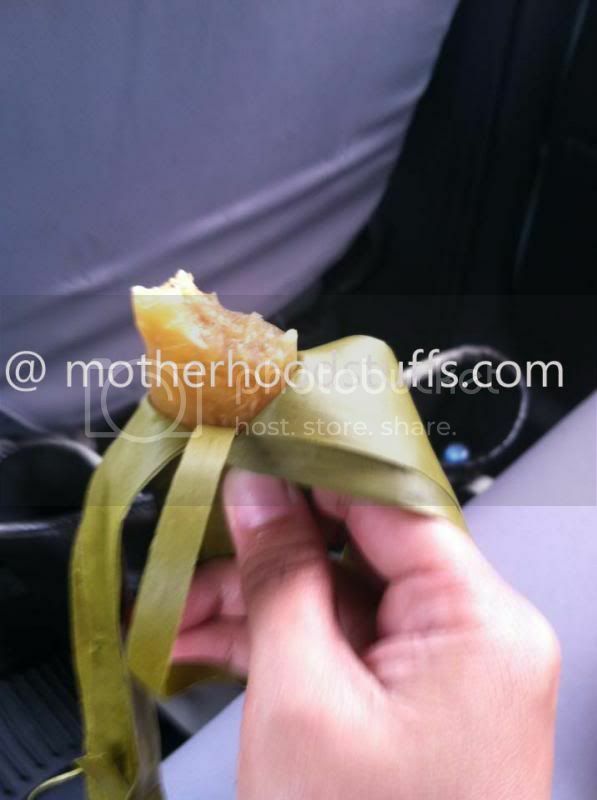 I really don't know how making this snack but one thing I know, it's wrapped in banana leaf. The taste is sweet, there's also coconut meat inside to make the blending taste even better. This is one popular snack and on to go snacks in the Philippines. I don't know when will I ever ate as good as this one again. Maybe, after 5 years when we visit my hometown again. That does sound sweet! Something that I should probably stay away from (diabetic)--maybe one of your friends in the Philippines can send you the recipe? Yummy! I have those once in awhile especially when cravings strikes. Oh suman!! Yupe, I miss eating that too. I heard that, raw cassava is poisonous. Hmmmm...scary...better cook it right. Okay, I see so many foods from the Philippines, I would love to go there to try them. We have an annual festival in our area where you can try the different foods and see some of the things from there, I am definitely going next year to learn more. I miss that. I don't buy the cassava in the asian store as they don't look good. i have never heard of this but open to trying new foods. Oh yea one og my favorite! Yummy.